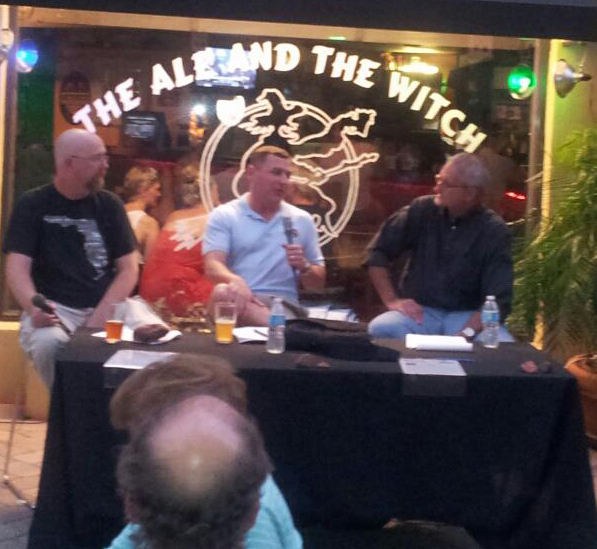 Some of you may recall back in October of 2012, I sat on a panel of “experts” discussing the Science of Beer. Tom Williams (owner of St. Pete Brewing) and I answered questions about the science side of brewing, the social aspects, homebrewing, and even addressing veganism in craft beer. It was a lot of fun, and the moderator, Rob Lorlei (WMNF) did a great job asking engaging questions and getting the audience involved. A great time was had by all, and we had a really good turnout. Well, the SciCafe is back! 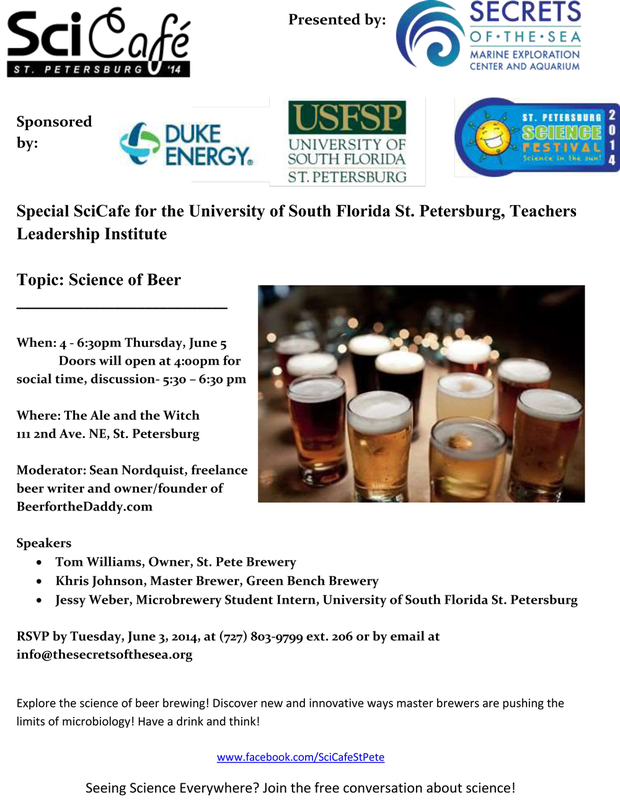 Tonight, once again at the Ale & the Witch in St. Petersburg, The Science of Beer will be the topic, but this time it is for the University of South Florida St. Petersburg, Teachers Leadership Institute, and we are expecting over 100 teachers in attendance! The goal is to help get them enthusiastic about teaching science and math – and the Science of Beer will be the star of the show! Tom Williams will be returning as a panelist, and this year he will be joined by Green Bench brewmaster Khris “Burn The House Down” Johnson, and Jessy Weber, intern at 3 Daughters Brewing and a USFSP student. And moderating the event? I am honored to have been asked by SciCafe St. Pete to participate and combine two of my favorite things: science and beer! The event begins at 4pm with a “social time” and the panel will begin at 5pm, going for about an hour and a half. Even if you are not a teacher, this should be a great time. I am very much looking forward to it. ~ by Sean Nordquist on June 5, 2014.